CERFA-NRW is now proudly presenting its 3rd Symposium “Women in Science”. 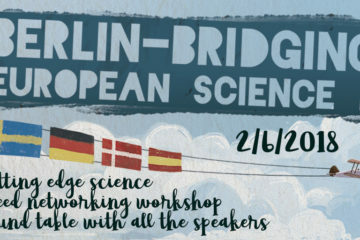 Since women in leading positions in R& D in both industry or academia are still nowadays underrepresented, we want to provide an open forum for discussing about these issues, and bringing closer role models examples of ground-breaking scientists, who happen to be women. It will take place on June the 20 th at the Haus der Universität in Düsseldorf. We will hear about their hopes, frustrations and personal experiences but also about their exciting scientific discoveries. We will hear the facts and numbers showing the raw truth about women in science from Dr. Kersten. Outstanding scientists with impressive careeres such as Prof. Hey-Hawkins and Prof. Goldfarb will present their discoveries. 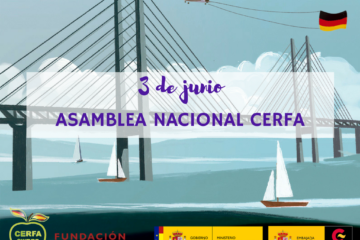 Young talents such as the LÓreal awardee Dr. Hosta Rigau will tell us how she develops small submarines that can sail our blood to fight diseases. 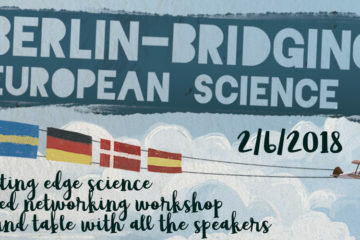 We will have an open discussion about how German mentoring programs can help female scientist to develop their scientific careers. In this discussion pannel we will count on Ms. Müller from the MINTALENT Program and expert consultant at Die Jobwerker, Ms. Rose Fleck from the feRNet Mentoring Program and Ms. Ekaterina Matsekina from the Selma Meyer Mentoring Program. Finally, for those who might be interested, a brief couching will be offered by Ms. Susanne Müller during the cocktail. We will enjoy delicious Spanish tapas that will empower establishing a fruitful networking in a more relaxed atmosphere. Please, feel free to spread the word among anyone who might be interested. We are looking forward to seeing you in our Symposium!